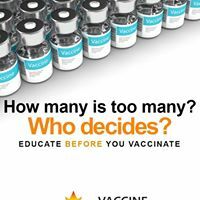 University of Alberta professor of pharmacy and law, Ubaka Ogbogu, was interviewed by the National Post regarding parents who do not vaccinate their child at the earliest age allowable. VCC had poked a bear – and the results were astonishing. 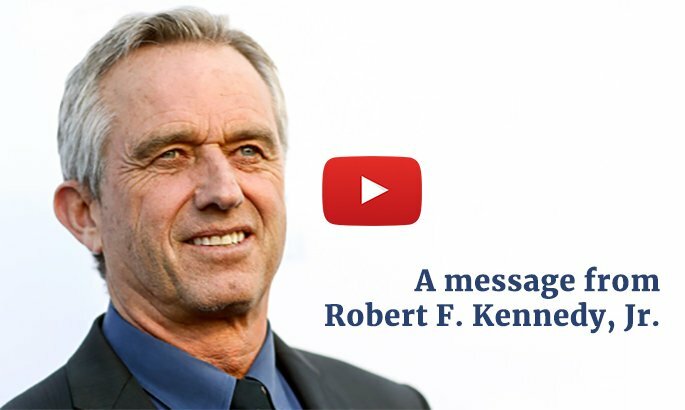 The MSM got to work quickly, public shaming the vaccine hesitant, posting the home addresses of VCC board members, dehumanizing “anti-vaxxers” whose “critically dangerous stories” of vaccine injury must be countered with scarier stories of death and disease. One in every 3,000 people with measles will die from complications, screamed the Globe & Mail. 22 cases of measles have been reported in Canada so far in 2019, with 12 being active. And there will be more, as there have been every year in Canada for the last many years (2013, 83 measles cases reported; 2014, 418 cases; 2015, 196 cases). No deaths have been reported. But what is the level of immunity to measles in Canada? Measles is considered endemic suggesting there may be a sufficient level of antibody protection to control outbreaks. How so? While I could find no studies on how many people might have measles ‘antibodies’, I did a little rough guesswork. Turns out, it is possible that less than 67% of Canadians might have antibodies to measles either from natural infection (born before 1975) or vaccination. 33% of Canadians – primarily adults between age 30 and 45 – may have none. This being a plausible scenario, thoughts turn to other factors involved in disease management including nutrition, education, clean water, sanitation, health care, quarantine, and peaceful conditions. Vaccination is not a panacea and its negative consequences of its use and overuse suppressed. And yet, not pausing for balanced thought, the MSM turned to the story of a Vancouver, BC, mother Katie Clunn who compares the unimmunized to drunk drivers. Ironically, Ms. Clunn who appears between the ages of 30 and 45, may be one of the 33% without any antibodies to measles. By her own logic, is she spreading disease? Ms. Clunn launched a petition demanding that the BC government mandate the vaccination of children under threat of expulsion from school. As media pressure mounted, the BC Premier responded with a plan to create legislation similar to that in Ontario – that includes philosophical exemptions. Other provinces, including Manitoba and New Brunswick have seen a similar hesitation to force vaccinate its people. Equally, the oxymoronic “mandatory choice” proposed in 2016 by an Alberta MLA failed to inspire colleagues. And this is a salient point: there appears to be no political will to mandate vaccination in Canada, for now. In 2016, during protests against amendments to the Immunization of School Pupils Act (the education/conversion program) in Ontario, I communicated with as many MPPs as I could including Peter Tabuns, John Fraser, Dipika Damerla, Arthur Potts … While all rejected our concerns, there was a line none would cross: they would not actually seize and force vaccinate children. Distaste, however, is something from which they may be persuaded to recover. And so, one may place greater hope in the Canadian Charter of Rights and Freedoms to protect citizens from this overreach of government. The National Post article pointed to a court ruling that deemed an 11-year-old indigenous girl’s family had the constitutional right to stop chemotherapy and treat her with traditional remedies. In comparison, the case for maintaining vaccine choice, the right to refuse this medical procedure, appears just as strong. “If they won’t apprehend to save a life are they going to apprehend for an immunization to prevent an infection the child may never be exposed to?” observed Prof Robinson. If a case against mandatory vaccination were to be tried in a Canadian court, it would open relevant questions regarding screening for contraindications, liability for injury, how corporate interests have shaped public policy, the suppression of research and access to data. It would be the Scopes Monkey trial of the 21st century pitting a theocracy of vaccination against evidence of the pediatric epidemics it has engendered. 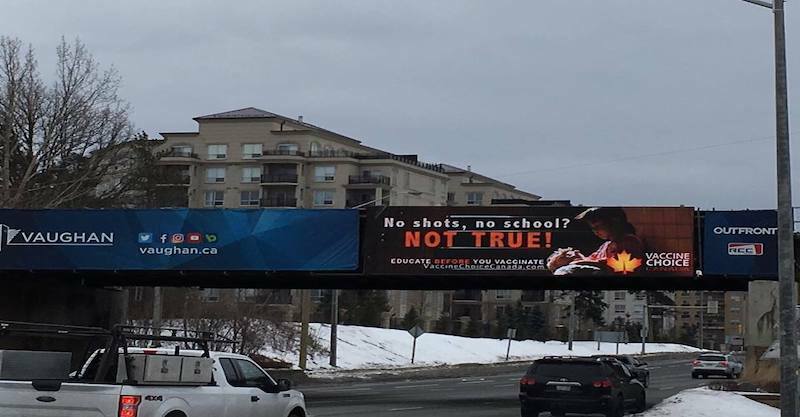 And so, the MSM fury that erupted out of the VCC billboards has pushed the issue of mandatory vaccination into the open. And the answer from legislators, at least for now, is ‘NO’ to the apprehension and forced injection of children.